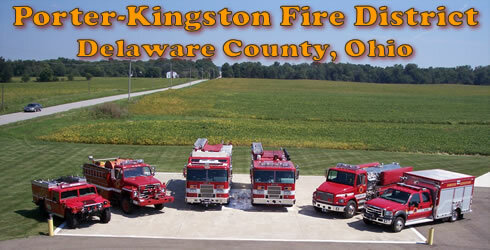 PKFD has been awarded grant funds through the county Threat Risk Needs committee. 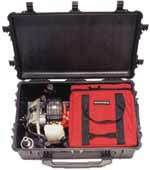 The funds have purchased a Search Systems Inc. Searchcam 3000, Breaching system ,and a mongoose search camera. The cameras are on an extendable pole and is used to locate and communicate with victims trapped in void spaces. 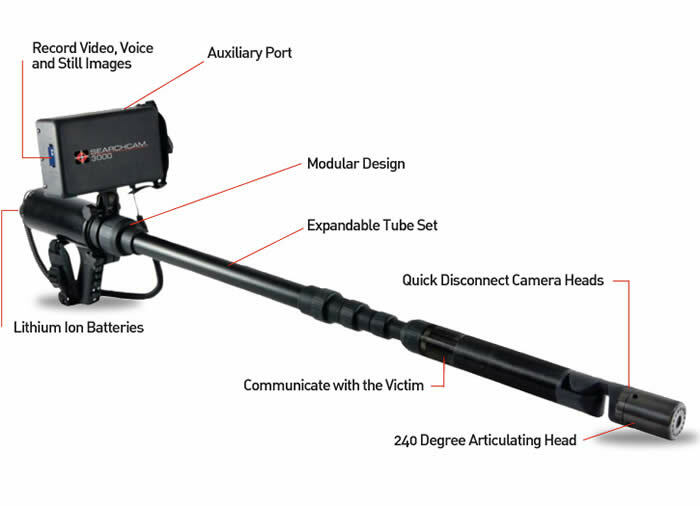 The breaching system is a gas powered drill that creates holes that the camera can be placed into to locate victims. The equipment arrived a little over a month ago. The 3000 and the breaching system are carried on the Spec-Ops trailer and the Mongoose camera is carried on Engine - Rescue 381. All of the equipment is available any where in the county via mutual aide call. Station 380 deployed the Special Operations trailer for the first time saturday 3-7-09. The trailer and Rescue 382 traveled to Pataskala and assisted the State Fire Marshals Office. Four firefighters from the PKFD assisted the investigators in stabilizing a commercial building that had burned earlier that same day. The firefighters, 2 tech level and 2 ops level rescue technicians set shoring in the front room of the structure allowing the SFM access to the second floor. 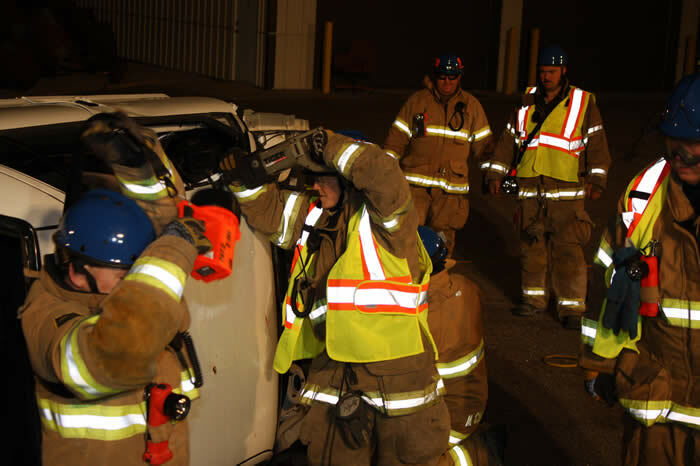 Station 380 conducted monthly training for February and covered Rapid Intervention. 18 firefighters from the PKFD traveled to E4 safety and spent 3 hrs training. Fire fighters worked in two teams and practiced removing firefighters/victims from upper floors using ladders. They also practiced getting supplied air to a trapped or downed firefighter using the RIT Pack. It was a good night of training with everyone getting twisted up into uncomfortable positions with each other. It is training we all enjoy but hope we never have to use. Be safe out there! 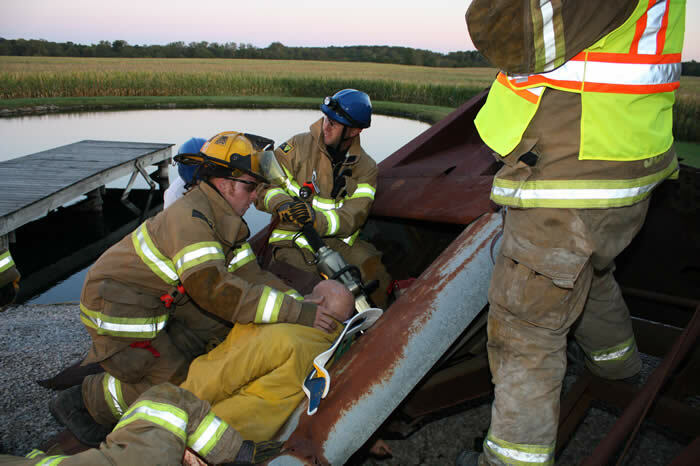 Members of PKFD held a special training in house on Oct 9th that included the use of all equipment on the Spec-Op's trailer for trench rescue. 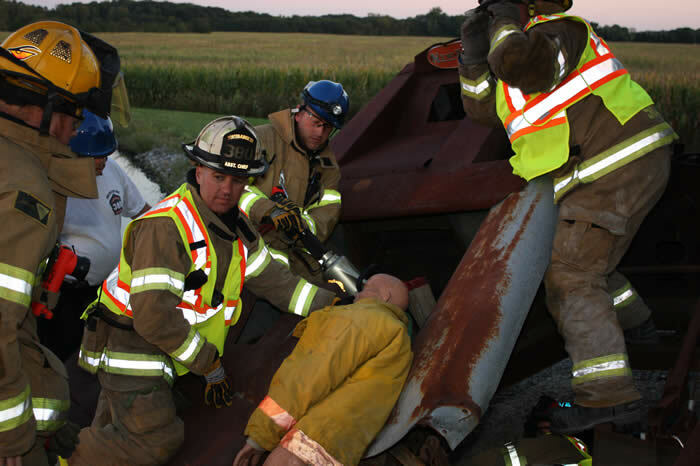 Firefighters ran a mock rescue from start to finish that required a victim be removed from a trench that had collapsed. The scenario lasted approx. an hour and a half. This training prepared the PKFD to handle a trench rescue any where in the district and any of our mutual aid area. 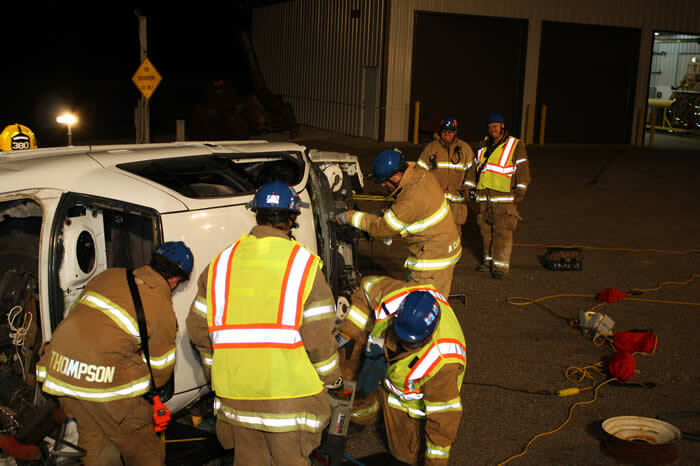 PKFD held it's monthly training at station 380 and covered vehicle and machinery extrication. 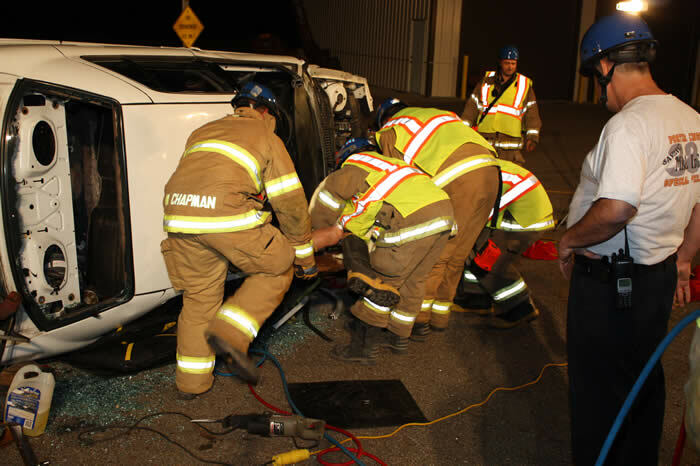 Firefighters from sta.380 were given several scenarios including a man trapped in a corn picker,and a vehicle roll over with a victim trapped under the car.